Bitcoinx » News » Will OPEC Adopt Venezuela’s Petro Token? Will OPEC Adopt Venezuela’s Petro Token? Posted by Steve Shanafelt at February 7, 2018 in News Comments Off on Will OPEC Adopt Venezuela’s Petro Token? With the launch of Venezuela’s state-sponsored Petro token less than two weeks away, it’s hardly surprising that Venezuelan President Nicolas Maduro is looking to get other major financial players to support it. According to a new report from Al Jazeera, Maduro plans to court members and non-member states of the Organization of the Petroleum Exporting Countries (OPEC) into adopting his country’s new cryptocurrency. That’s not as far-fetched of an idea as it may seem. Speaking on state radio yesterday, Maduro said that he plans to “officially propose” the adoption of the Petro to “all OPEC and non-OPEC producing countries.” It’s not clear if Maduro hopes that other OPEC nations will directly adopt the Petro, or if he was calling for the creation of a new oil-backed Petro-like cryptocurrency for use by member states. In any case, such a move would be huge, as virtually all oil transactions are currently denominated in U.S. currency. This so-called “Petrodollar” system has long been a major frustration for many OPEC nations, particularly those who regularly run afoul of U.S. and U.N. banking sanctions, which often limit their access to American currency. 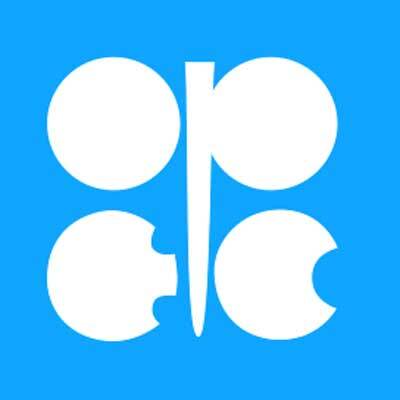 Should it prove to be a viable payment method, the Petro might find a receptive audience in OPEC member countries like Iran. The possibility of any major oil exporter moving away from the petrodollar system is highly concerning to U.S. authorities, as economic sanctions are a powerful tool. If a sanctioned country doesn’t need to use the international banking system to settle trade payments, the U.N. and other global authorities will lose a powerful non-military option for influencing that nation’s policies and actions. At the moment, Venezuela doesn’t plan to completely abandon the petrodollar system. Oil shipments will still be bought and sold using U.S. currency, although additional fees and taxes will be payable using the Petro. The cryptocurrency’s value is currently backed by around $5 billion in oil (as well as gold and other commodities), and Maduro has claimed that millions of Venezuelans will have access to the tokens through the country’s national ID card. Even though creation of the Petro was something of desperation move, as Venezuela’s skyrocketing inflation has rendered their local currency almost worthless, it may yet prove to be a game changer for the country. Many questions about the Petro remain unanswered, and at the moment there is little reason to think that most OPEC nations will want to abandon the petrodollar system. Given how quickly cryptocurrency has shaken up the global financial status quo, and the fact that the Petro will be the first crypto token to be backed a sovereign state, that could soon change.